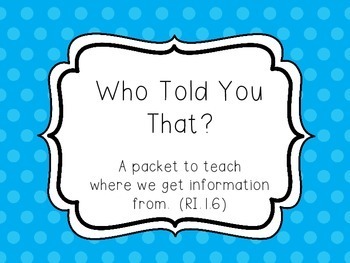 RI.1.6 - Where Did You Get the Information From? This set can be used to teach where we get information from (an author vs. a photographer). *Note, in the standard it uses the word illustrator - in my PowerPoints and independent work I used the word photographer. 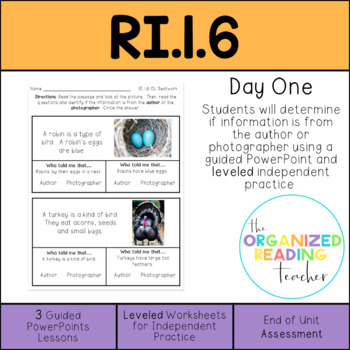 The reason is that it is an informational text standard so it is used with non-fiction texts. In first grade the majority of the non-fiction texts we use have photographers, not illustrators.